YouTube Community? Wish I Felt It. YouTube. I want to like you. I think I like you. I do like YouTube. But I have reoccurring pangs of disappointment about it. I’ve always had this vision, of a YouTube community that I could be part of. I’d watch your videos, you’d watch mine, we’d comment, we’d make video replies. We’d talk about what makes a good video and how to make ours better. If later we found ourselves in the same city, maybe we’d meet up. We’d do a video together. And we wouldn’t be too self aggrandizing. Mostly we’d have fun. I’d enjoy having that little window into your life and how you see the world. We’d share information, little tips on things, maybe expose each other to games we haven’t played that otherwise we wouldn’t have given a chance, maybe we’d show each other places we wouldn’t otherwise know where to go. I think I have this vision, because very briefly, I experienced it. I’ve told the story a few times on the internet, so I don’t want to give the full version again, but once, while participating in a contest, I had this experience of meeting people through their videos, and having conversations through them, knowing no one was too proud or too good to watch anybody else’s videos. I still keep up with some of them, but I’m (as far as I know) the only one who still dabbles in YouTube. Since then, I’ve never been really able to find a connection to people in both the producer and consumer sense on YouTube. I can get views, maybe not a ton, but enough to feel like creating something was worthwhile, and some interaction on my videos. And I can find videos that I enjoy watching, and sometimes I get a polite thank you if I comment. But that’s about the extent. I envision conversations and connections through creation and consumption, but can’t find the full cycle. I am not sure if its me, or the sea of things that is YouTube. It could just be another time when the awkwardness is me. But I can’t help getting the feeling that its a caste society. It seems like the creators have their eyes fixed upwards. People who are more advanced than me don’t seem to have time or interest in interacting beyond being gracious stars. People who are near “my level” only seem interested in their own rises. Of the few people who do interact consistently with me, most do not create content themselves, so its not as connected feeling as interacting both ways. I am pretty sure that I am doing some things wrong – I haven’t been able to find a stride in making videos over the course of my last few changes in situation. I don’t post consistently, my style and subject matter can be all over the place. I’m probably not looking for the content I want to see in quite the right places. But there are also some functionality limits that seem to contribute to the difficulty of connecting. Comment notifications are a fickle thing, the setting sometimes for emails seems to change without me having set it, and its just flat out hard to find the new comments space on the interface. Its also hard to find videos on popular subjects that aren’t from the most poplar creators. I prefer a bit of a less produced/polished style of video, but search results lead with content from the very established. For gaming related content, its extremely hard to find what I’m looking for, as I don’t enjoy the “personality set to loud” style that’s popular in gaming videos. I still find entertainment and information in this sea, just at a high time cost, and a high rate of starting videos and clicking away from them. Do you feel like community exists on YouTube? Is it even something that people desire from that site? Is it just that there is a culture that I’m failing to be a part of? Have you ever had high hopes for an internet space as interaction and were disappointed? Previous Post 100 Followers Video Game Giveaway! Get a Humble Bundle! Yeah, I pretty much hate YouTube and a lot of it is because of that lack of community (and I don’t even really make videos). I really don’t go there expecting to see anything in the form of a meaningful comment on any video, ever, or any sort of camaraderie among the people who make and share videos on that site. I get the feeling that a site like vimeo is more conducive to the kind of community and interaction you’re looking for, but it also seems kind of hard to get a leg in (like trying to break your way in to a clique-ish group of friends). I don’t go as far as hating it.. But sometimes I wonder if what affection I do have for it is mostly wishful thinking, more me not wanting to let go of what I thought it could be than anything. 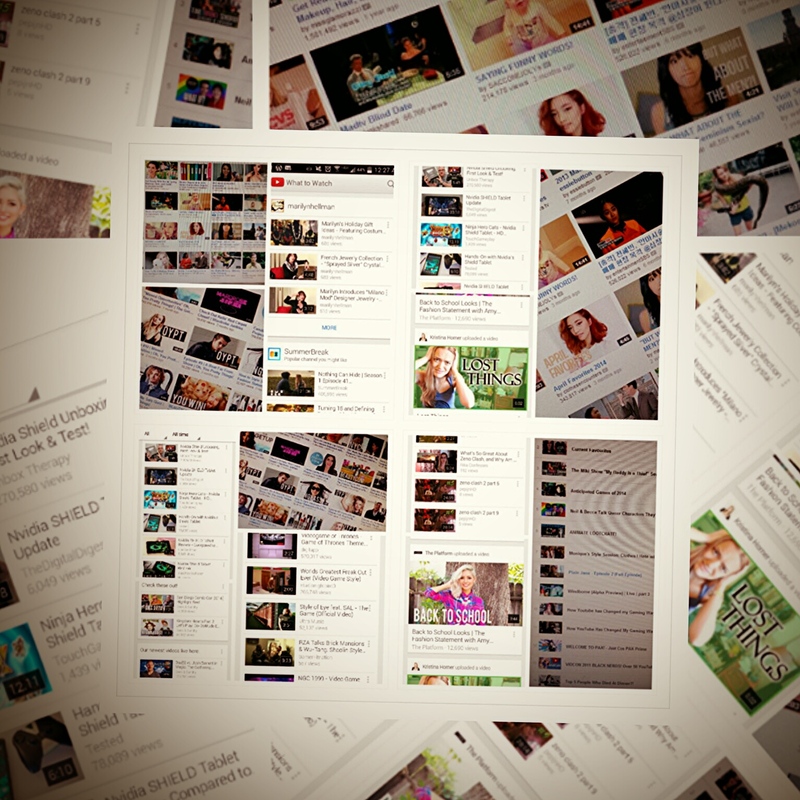 As sad add our is to hold up WoWriot as an example of community… Youtube is less satisfying, community-wise than that. At least on WoWriot, for good or ill, people noticed your posts and interacted with them and had continual relationships with each other. I guess I still hold onto YouTube though, because I do enjoy watching some of what I find there, and some people do use it to make really HELPFUL content (like game info videos, or language learning help) but that’s just a single component of what I thought it could be like. Haha, interesting point. As much of a troll haven as WoWRiot could be, at least there was a responsive community! It was like this big, messy, dysfunctional family. And YouTube doesn’t really strike me that way at all — but it might just be because the community is so much larger (and WoWRiot was pretty niche). Pingback: Weekly Recap| Aug 3-9, 2014 | Oh, the Books! I agree with what you said on this post; I make YouTube videos and I do crave an interaction with other YouTubers but you’re right … the ones on my level are too focused on their own successes to truly care about others and the big YouTubers simply don’t have the time to truly interact. I’m a very, very small channel and honestly just do it because I love it! I’m checking out your videos right now! Since I posted this, I’ve had a lot of people on social media comment that they felt the same way.. so I’m trying to make it a point to genuinely interact on more people’s videos so I’m not part of the problem. 🙂 I like the simple style of your vids, as you get more equipment and stuff, its fun to try different ways to use it but I hope you keep the same unmanufactured approach!